Males and females of the ornate julie pair-bond in a permanent, sedate relationship, even when not spawning. They seek out areas of rock with hiding places and shelters where they can reproduce. Several hundred eggs are attached to the roof of the spawning site; the female tends them while the male defends the territory. The fry are free-swimming after 8-10 days, under the watchful eyes of the adults. 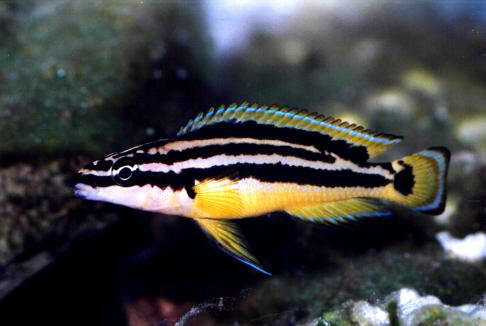 J. ornatus has three longitudinal bands on a light background. Size: 8 cm. ЭССЕКС (Essex) Роберт Девере (1591-1646) , граф, один из лидеров пресвитериан в английской революции 17 в. С 1642 главнокомандующий парламентской армией. Сторонник компромисса с королем. Противился перестройке армии на демократических началах. В 1645 после военных неудач сложил с себя командование.